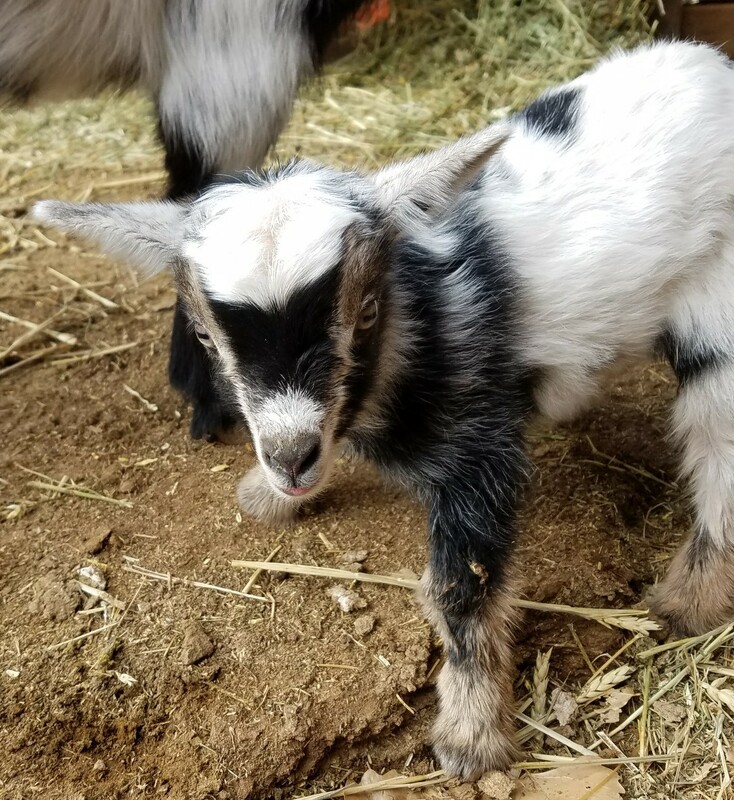 In the daylight, after being cleaned up and dried off, the doeling is actually a tri-color. She weighed 3 lbs when I weighed her this morning. The dam is Blunderosa Minnie Pearl and the sire is CBF KS Cowikee. 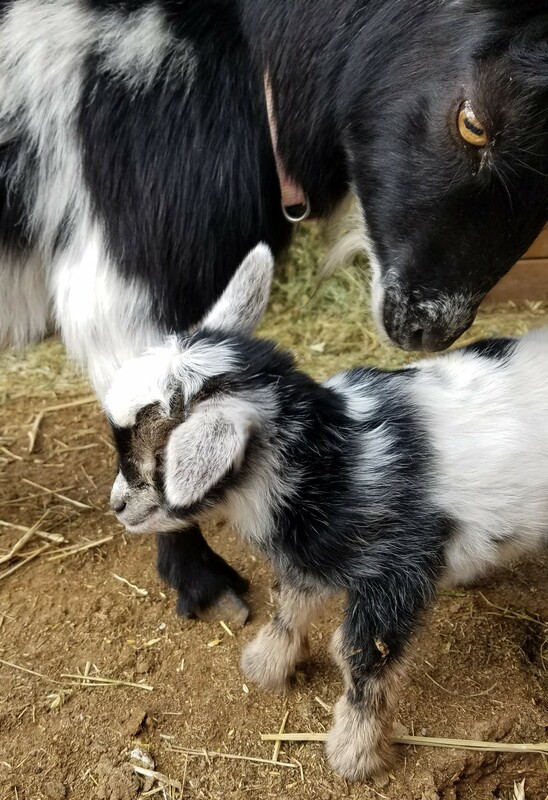 I generally try to name kids in a theme with the dam but in this instance will just use the “Pearl” — so the doeling needs a gem name. Suggestions are welcome.